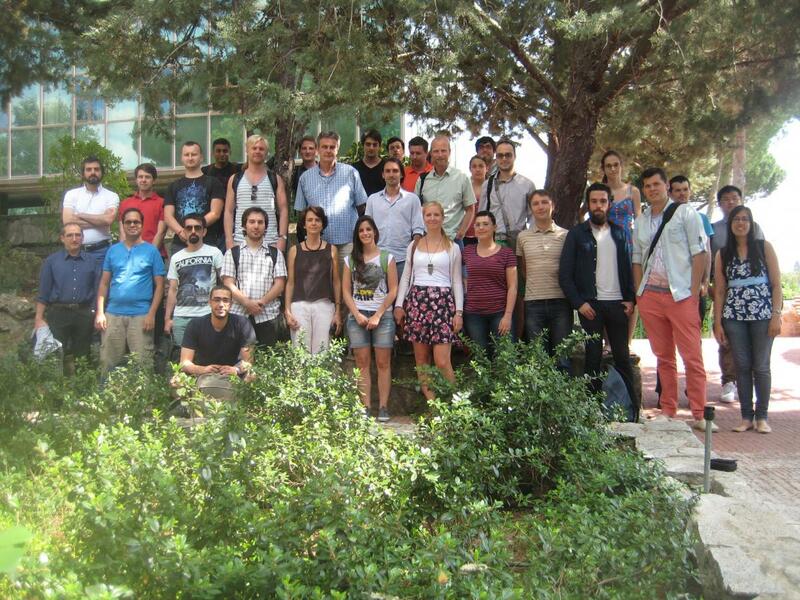 This summer school is organized by the Artificial Intelligence Department of the School of Computer Science of the Univ. 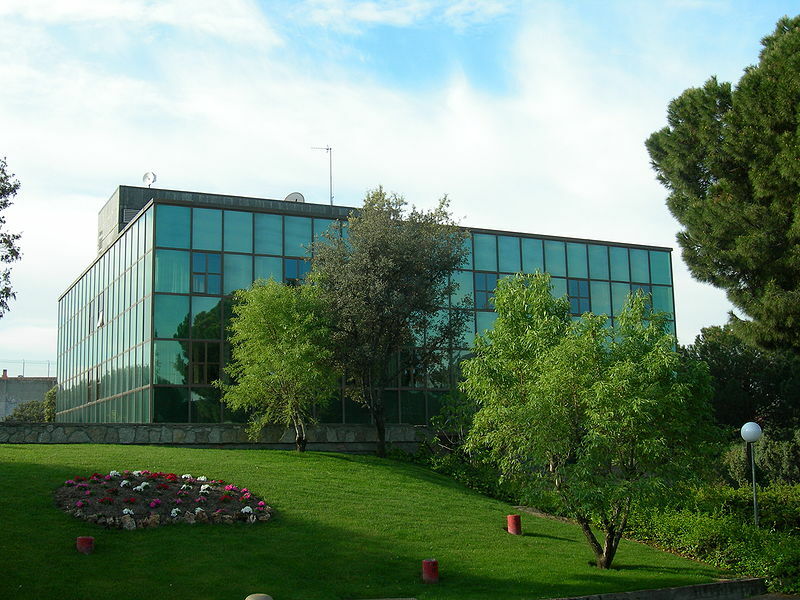 Politécnica de Madrid. This year we celebrate its 14th edition. 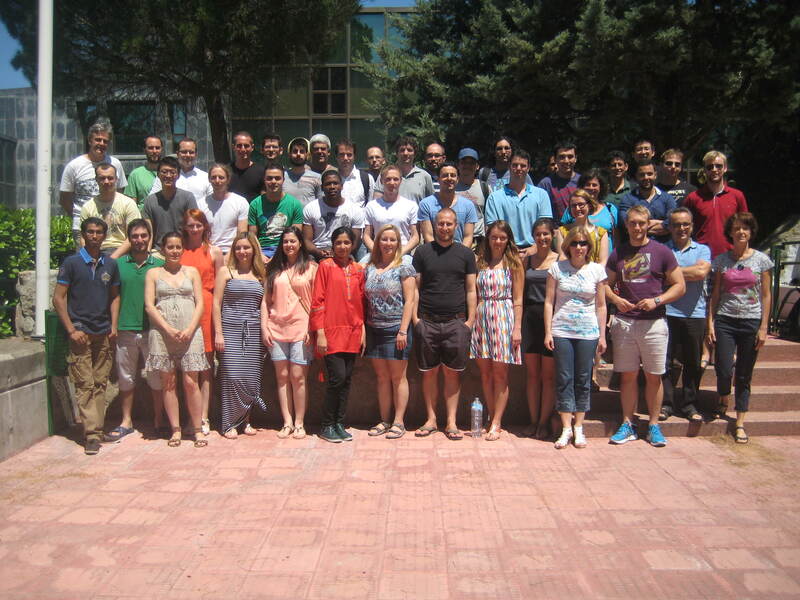 It comprises intensive courses which aim to provide attendees with an introduction to both the theoretical foundations and the practical applications of some of the modern statistical analysis techniques currently in use. 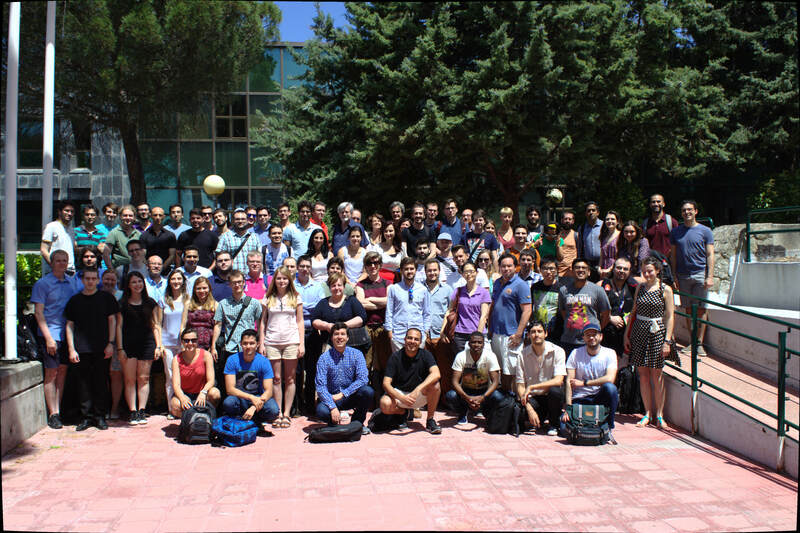 The summer school comprises 12 courses, each of them week-long and composed of 15 lecture hours, given during two weeks (six courses per week). Each course has theoretical as well as practical classes, in which each technique is put into practice with a computer program. Students are free to choose the courses according to their interests, with the only restriction being that courses which are given in parallel are mutually exclusive. A leaflet summarizing the information is available here. 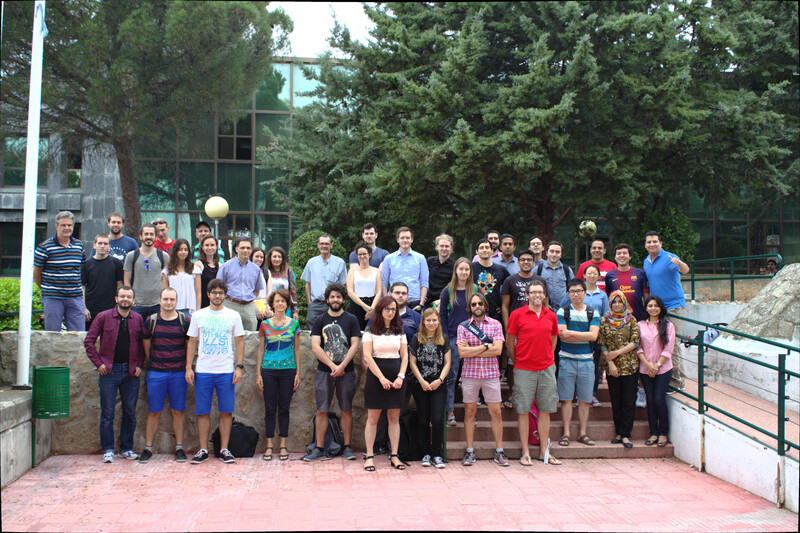 Academic interest: This summer school complements the background of students from a variety of disciplines with the theoretical and practical fundamentals of those modern techniques employed in the analysis and modelling of large data sets. This makes it very interesting from the academic point of view since there are no specific university studies on this kind of techniques. Scientific interest: Any scientist, regardless of her field (whether engineering, life sciences, economics, etc.) 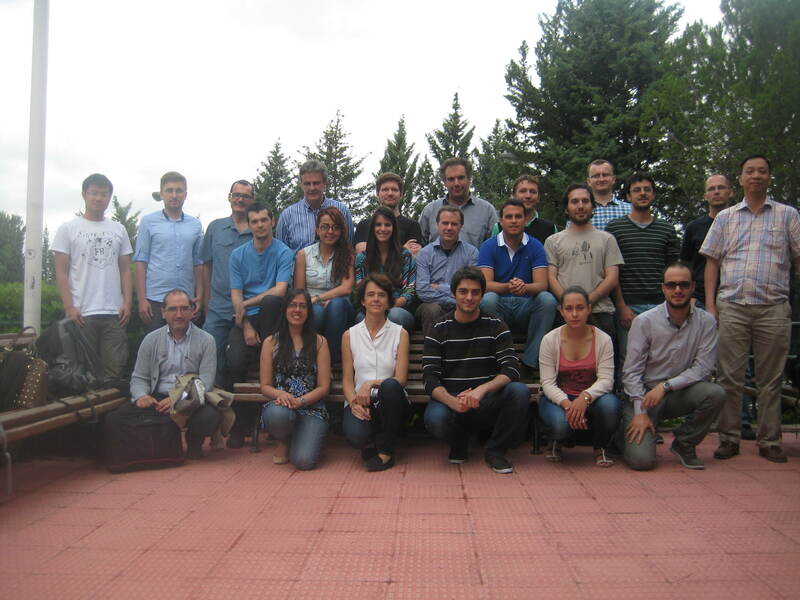 is confronted with the problem of extracting conclusions from a set of experimental data. This summer school supplies experimentalists with the sufficient resources to be able to select the appropriate analysis technique and to apply it to their specific problem. Professional interest: The application of modern data analysis is widespread in the industry it is practically needed in nearly all disciplines. There are plenty job offers in the field: a Glassdoor.com search as of March 2017 retrieves around 9,000 offers for "data science" and around 14,000 offers for 'data mining', all within the USA only. 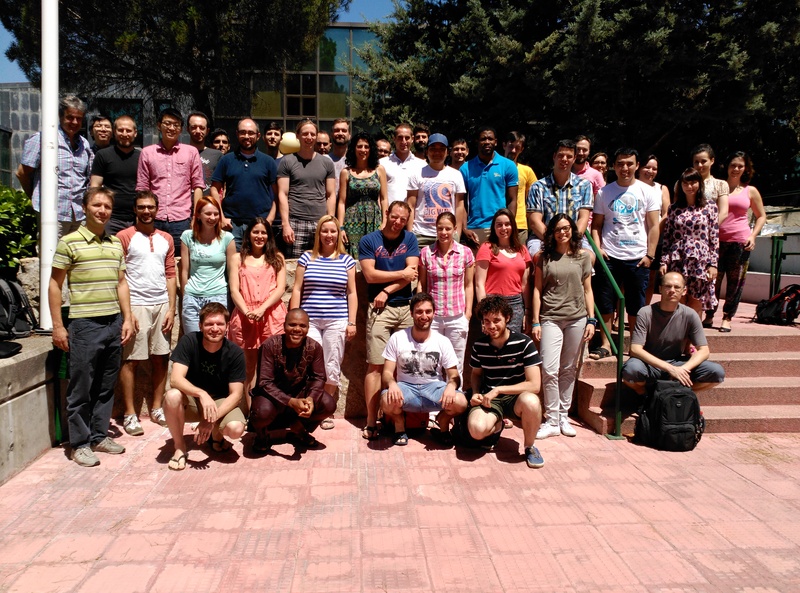 The goal of this summer school is to complement the technical background of attendees in the field of data analysis and modelling. The courses are open to any student or professional wanting to enrich her knowledge of a topic that is more and more involved in nearly all productive areas (Computer Science, Engineering, Pharmacy, Medicine, Economics, Statistics, etc.). A second objective is to get the student acquainted with a set of computational tools for applying the learned techniques. This may involve tackling practical problems from the student's own work environment, i.e., working with a student's own data set. 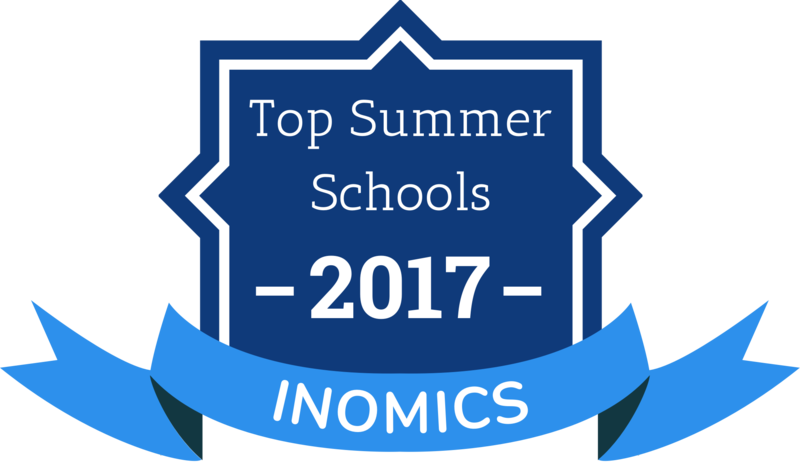 Note that the summer school is on advanced techniques and the courses will provide insight into modern techniques that, nearly by definition, are not mathematically trivial. Although emphasis is placed on their use and not on the underlying mathematics, attendees should not be afraid or surprised of seeing some mathematics. Teachers will make the course content accessible to students from all backgrounds. To make course attendance easier, the student is supposed to be familiar with certain concepts that are described as "prerequisites" and she is encouraged to read the "before attending documents" in order to benefit from the course as much as possible. All classes will be given in English. Notice that courses in the same time block (e.g. C01 and C02; C03 and C04;...) are given simultaneously and therefore a student cannot register in both of these. Students should bring their own laptops with the software required for the practical sessions of the courses. Free wireless connection will be available. Click on a course title to see its detailed programme and eventual prerequisites. Courses in the same time block (e.g. C01 and C02; C03 and C04;...) are given simultaneously and therefore a student cannot register in both of these. The summer school takes place at UPM’s School of Computer Science, located at the Montegancedo campus, in Madrid's Boadilla del Monte municipality, some 20 kilometers from downtown Madrid. 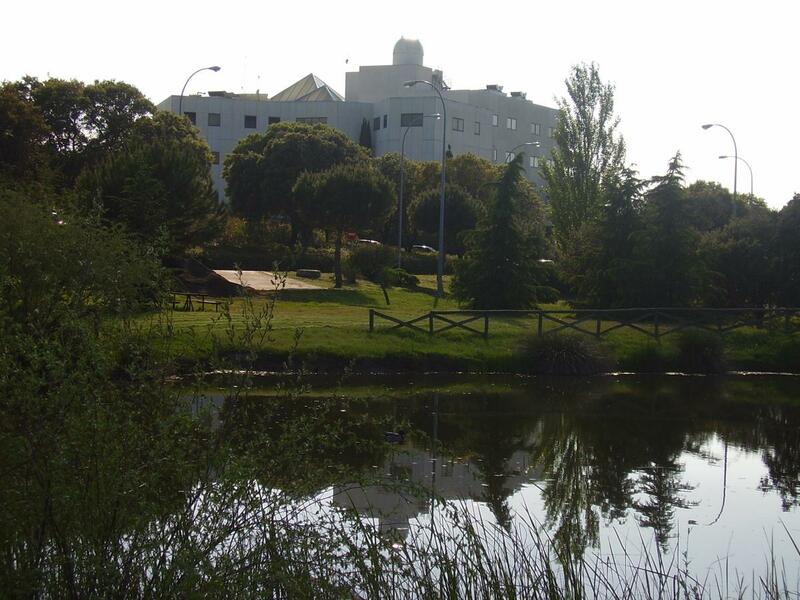 The campus is well connected with central Madrid, via light rail line and multiple buses lines. People who are not currently working are eligible for academia fees. Note that the above per-course price is fixed, regardless of how many courses a student enrolls in. There is a 25% discount for members of the Spanish AEPIA and SEIO societies. Courses have a maximum attendance of 40 people whereas courses with less than 6 people will not be opened (we have an average of 20 students per course, and this is very unlikely to happen). For each attended course, the student will get an assistance certificate signed by school coordinators. Course places will be filled in strict order of payment date. Note that enrollment is only possible until Wednesday, June 19th at 18:00 (CET) for week one courses and Wednesday, June 26th at 18:00 (CET) for week two courses. [Optional] If you are a member of AEPIA or SEIO, then a proof of active membership. A proof of membership quota payment can do. The bank details for the payment are as follows. When carrying out the payment, make sure that you cover the wiring expenses (if any), so that the amount transferred to our account matches the corresponding course fees exactly. If not, we will ask you to wire the remaining amount. Once all the information is validated, the student will receive a confirmation email. The summer school does not provide lodging. The NH Ciudad de la Imagen hotel is near-by, located halfway between the campus and Madrid, reachable with a ten-minute bus ride. Two years ago students reported very poor WIFI connection in this hotel, so you should probably check this with NH before booking. Students also stay around the Principe Pio area in downtown Madrid. It is centric and well-connected, with the commute to campus taking around 40 minutes. You can take the 573 bus at Principe Pio and it leave you right off campus. The NH Ciudad de la Imagen might be preferable if you will follow many courses and will have little time for other activities besides attending the summer school. Lodging near Principe Pio, on the other hand, makes it easier for you to enjoy Madrid during your stay. For a list of hotels that the UPM has agreements with, see here. Note: UPM's booking service seems to not be working currently. You may use the provided list as orientation, and contact UPM's welcome services if you wish, but it is probably best that you contact the hotels directly. You can reach the Montegancedo campus by buses 571, 573, 591, and 865 and by light rail line ML 3. The buses are faster than the light rail and leave you at campus or very close to it, while the light rail station is about one kilometer from campus. You can catch buses 571 and 573 in front of the hotel and the light-rail at the José Osbert ML 3 station. Colonia Jardin (metro line 10). You can catch the buses 571, 573 and 591 here. You can catch the light rail at the ML3 Colonia Jardin station. Ciudad Universitaria (metro line 6). Catch the 865 here. Aluche (metro line 5). Catch the 591 here or the 571 here. Principe Pío (metro lines 6 and 10). Catch the 573 here. Buses 591 and 865 leave you on campus. With 591 you get off at the last station whereas with 865 it's at next-to-last, called ‘Facultad de Informática’. If arriving with 571 or 573 you need to get off at the ‘Facultad de Informática' bus station (station name is shown on a display inside the bus, on the front side), and walk to entrance. If arriving by light-rail you will have to walk 1.4 kilometers to campus. As you leave the light-rail station, turn right and walk down Avda. Montepríncipe. Click here for a detailed map of campus and surroundings. Here are the timetables for the 571, 573, 591 and 865 buses in direction from Madrid to campus. In direction campus to Madrid, the timetables are these: 571, 573, 591 and 865. Please note that for 571 and 573 the timetables differ in June and July; look for 'Vigente Julio' in the upper right corner of a box for July and 'Vigente de 1 de septiembre a 30 de junio' for June. A single trip for 591, 865 and the light rail costs 2 euros whereas a 10-rides ticket costs 12.20 euros. A single ride with 571 and 573 costs 2.60 euros whereas a 10-rides tickets costs 16.10 euros. See http://en.redtransporte.com/madrid/tickets-fares.html. Course materials with be sent on the Wednesday prior to course kick-off, that is, on Wednesday 19th for week one, and Wednesday 26th for week two. On the following day, the professors will send the instructions for installing the required software. In exceptional cases this may happen earlier, if the professor considers that the amount of software to be installed is substantial. 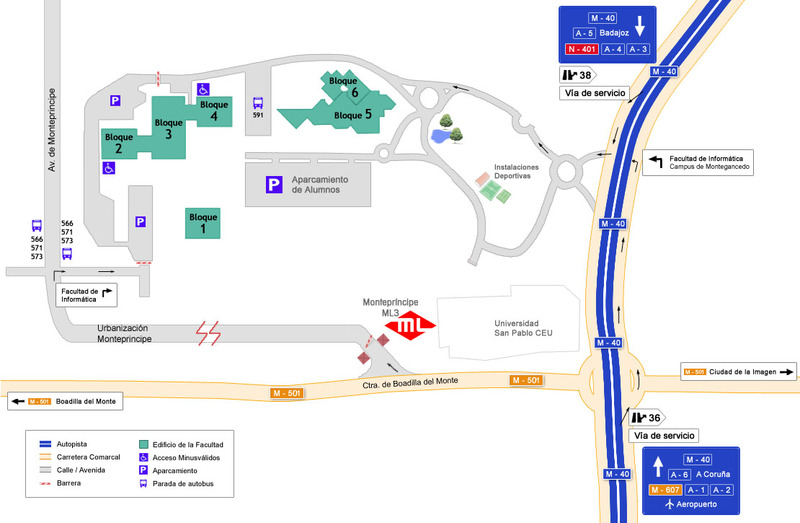 The courses will be held at Bloque 6 (see campus map). We will confirm the classrooms prior to summer school kick-off. Students need to bring their own laptops with the software required for the practical sessions of the courses. Free wireless connection will be available. We will provide data for wifi access on the first day of classes. Eduroam is available. Note that recording the classes, either in audo or in video format, is not allowed. The cafeteria is located in Bloque 3 (see campus map). It opens from 8:00 to 20:00 and serves sandwiches, salads, drinks, hamburgers, and other dishes. Lunch is served from 13:00 to 16:00. 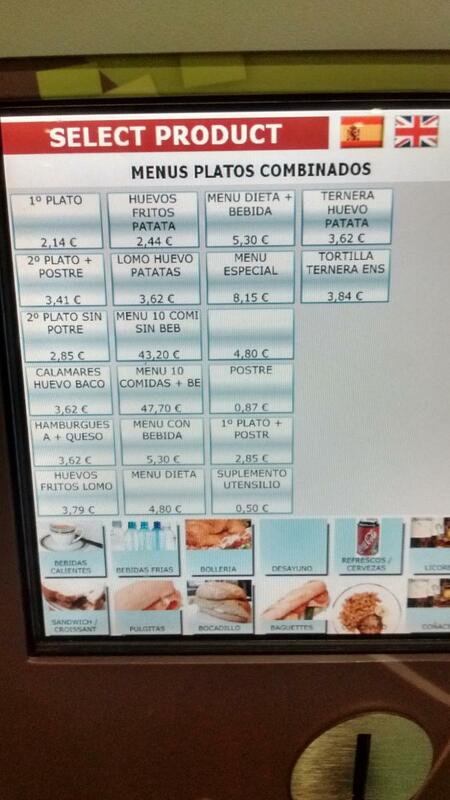 The self-service menu includes a starter, a main dish, a dessert and bread for 5.30€ with a drink (menu con bebida) and 4.80€ without a drink. You can also buy a 10-meal ticket (menu 10 comidas) for the price of 9 single meals. You pay for the meal at the vending machine (see image below) and receive a ticket which you hand over to the cafeteria staff, or pay directly at the cash register. The 10-meal ticket without a drink is not available at the vending machine, only at the cash register. There are microwave ovens that you can use if you want to bring you own food. If you are free during the second session (13:45-16:45) you may consider at the cafeteria at the CAIT building (see this map), about 5-10 minutes uphill from Bloque 6 (if you have classes in the second session, you will most likely not have enough time to eat here). The wait can be considerable and the number of tables is more limited but it offers a more pleasant environment than the cafeteria in Bloque 3. Some of the services provided on campus, such as study rooms, are listed here. The library and study rooms and areas are located in Bloque 1. 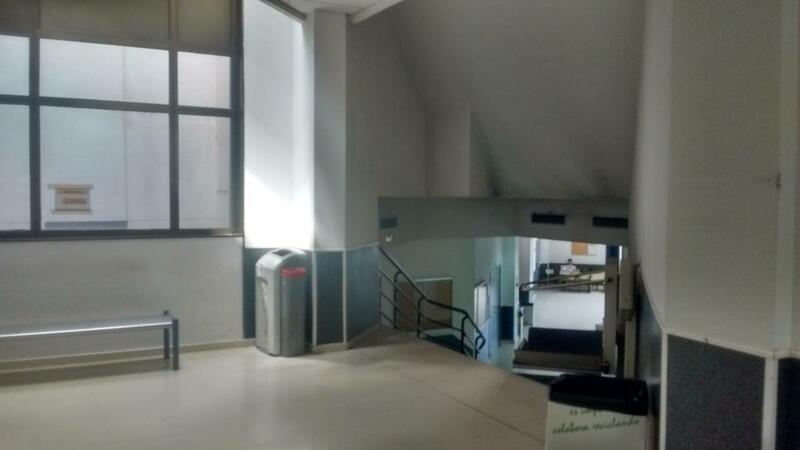 If you need to print something, you can use the publications service at room S6001, in the lower floor of Bloque 6 (a level below classrooms 6101 and 6105). It is only open from 08:00 to 14:00. In order to print, you need to purchase (on spot) a printing card which costs one euro. 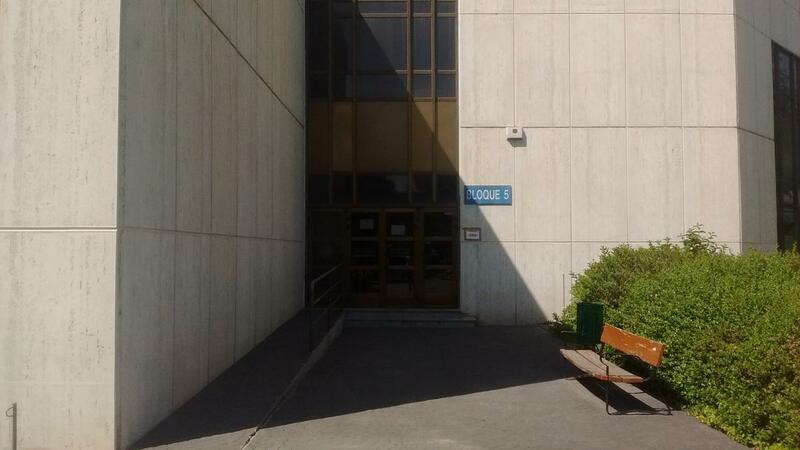 The preffered entrance to the building is via Bloque 5. Once you enter, you go straight down the hallway and then left just before the stairs that go downwards. Below is a picture of the entrance and the spot where you should turn left in the hallway. There will be signs posted indicating the way. It is only possible to cancel enrollment in a course for medical reasons or a rejected visa application, and only before that course begins. If a student would like to replace one course with another, he or she must request this before Wednesday 19th for week one courses and Wednesday 26th for week two courses. We will evaluate each request and to attempt to grant it, but there might be restrictions and we cannot provide guarantees. We will organize evenings out on Tuesdays, June 25th and July 2nd, at a bar in downtown Madrid. The coordinators, Santi and Bojan, will be there and invite all students to join. The invitation does not include drinks and each student should pay for what he or she consumes. Click on the photos to download large versions.